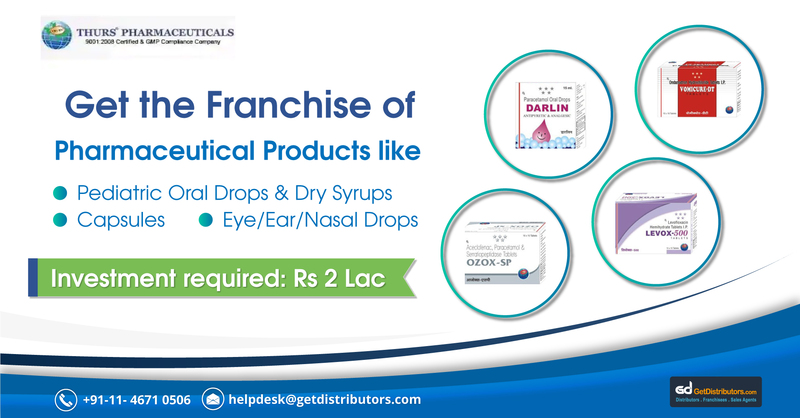 We, Thurs Pharmaceuticals, are an organization that is engaged in offering a wide range of pharmaceutical products including Generic medicines, capsules, and allied products. Our medicines are recommended by health professionals across major parts of India. We are in need of franchisees to aid us in our expansion plans. The above mentioned list is not exhaustive.